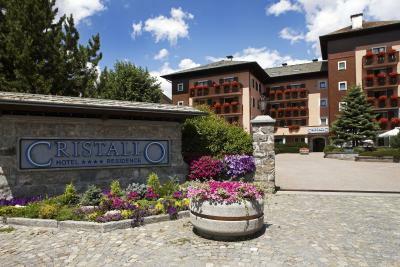 Lock in a great price for Hotel Cristallo – rated 8.6 by recent guests! Excellent hotel in the middle of everything. Huge room ( in our case), comfortable bed. Very nice breakfast. Extremely friendly and helpful staff. Great value ! Staff was very helpful and friendly. Bed was great and pillows are thin. Location is very good if you would like to explore closest areas - near bus stops. supermarket is also close to hotel. Cosmetics is very good! Room is big, including frige and several wardrobes. Every day we had new towels and overall cleanness was great! My wife and I, plus four friends, were on an extended motorcycle tour through Switzerland and Italy. Our stay was perfect in all aspects. Friendly staff. Went out of their way to serve me breakfast early. The bed was comfortable and there was a good shower. Also plenty of storage even though the room was very small. The breakfast served was excellent with many good choices. 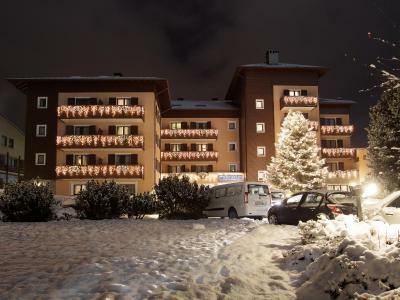 Excellent location, close to ski slopes, bus station and city centre. Very helpful staff, ski passes, bus/train timetables sorted within minutes. Great location, nice city. Excellent work of Booking.com services and technical support. I liked the service provided by the personnel - helpful and friendly. Warm and spacious room. 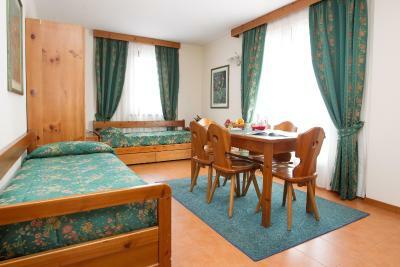 The location is also great - next to the old town, places of interests, restaurants, stores. 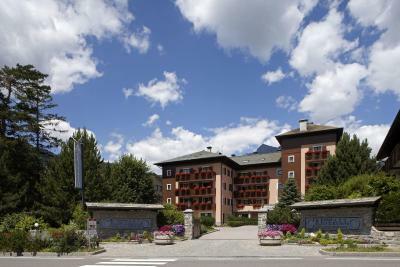 It is on a walking distance /7-10 min/ from Bormio 2000 lift. 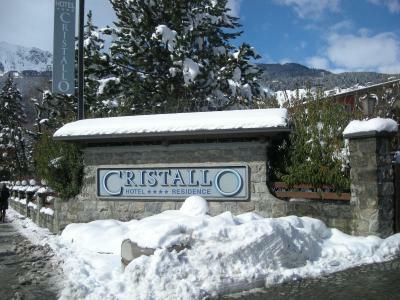 Hotel Cristallo This rating is a reflection of how the property compares to the industry standard when it comes to price, facilities and services available. It's based on a self-evaluation by the property. Use this rating to help choose your stay! One of our best sellers in Bormio! 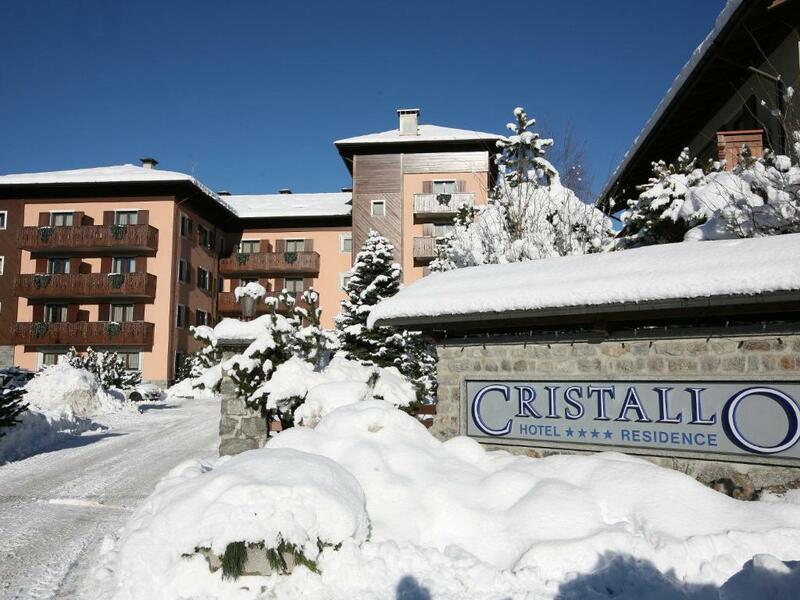 Hotel Cristallo is 1,300 feet from the cable car to Bormio Ski Area and 1,000 feet from the thermal baths. There is a wellness center, and all rooms offer beautiful views over the Italian Alps. WiFi is free throughout. The Cristallo' wellness center features sauna, hot tub and Turkish bath. 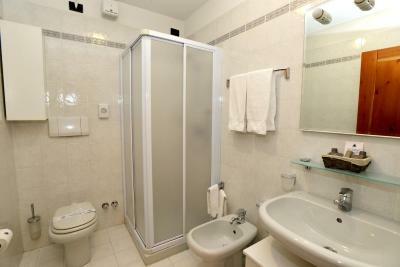 There is also a gym, and guests of the hotel enjoy a discount in Bormio's thermal baths. Cristallo Hotel has its own large garden, and inside there is also a games room, a ski room, a reading room and a relaxing lounge with bar. Staff can provide ski passes and shuttles can be arranged. 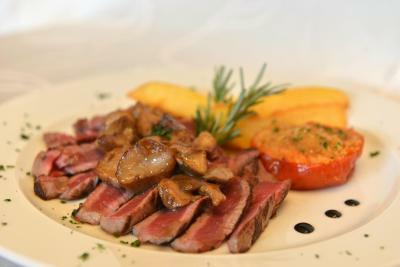 The Cristallo’s restaurant serves classic Italian cuisine, local specialties and international favorites. Breakfast is generous and varied and starts at 07:30. Free outdoor parking is provided, and garage parking spaces are available at extra cost. 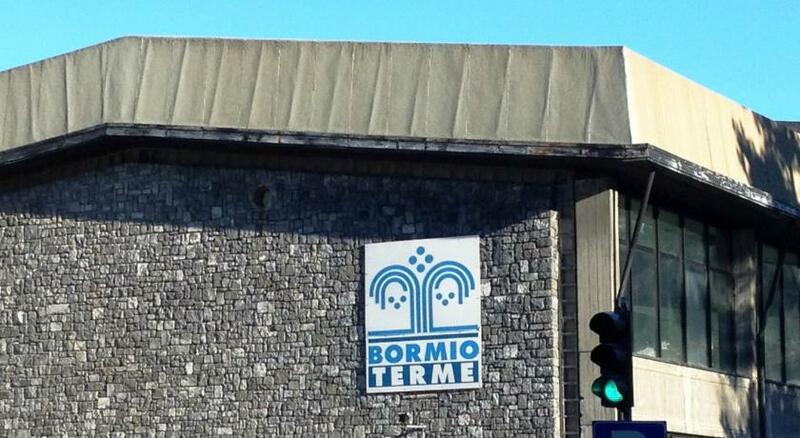 This is our guests' favorite part of Bormio, according to independent reviews. 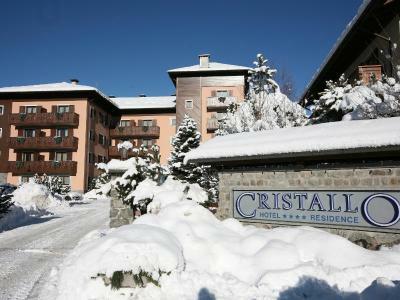 When would you like to stay at Hotel Cristallo? 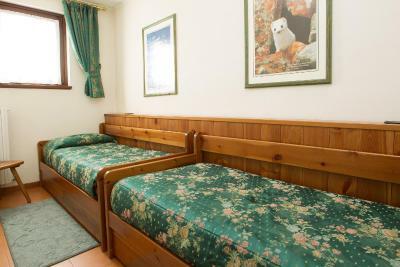 Mountain-style room with carpeted floors and wooden furniture. 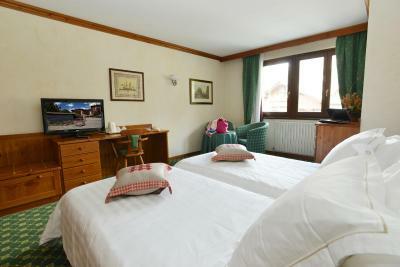 Large room with luxurious furnishings and deluxe toiletries. 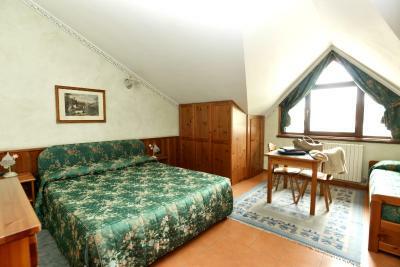 Large room with local handmade furniture, lounge, and spacious bathroom with bath and shower. House Rules Hotel Cristallo takes special requests – add in the next step! ATM card Hotel Cristallo accepts these cards and reserves the right to temporarily hold an amount prior to arrival. Hotel Cristallo accepts these cards and reserves the right to temporarily hold an amount prior to arrival. The hotel features a free outdoor parking, plus an indoor garage at extra cost. Please note that the Stelvio Mountain Pass is closed from October until mid June. This means that you will have to take a longer alternative route to reach the property. The breakfast was good but everyday the same. Dinner Buffet is quite poor and not freshly made. Same story for breakfast, quite poor and not freshly made. On top of that, they charge extra for an omelette or pancakes, quite astonishing for a 4 star hotel. Carpets, furnishings all a bit tired, could do with freshening up. Location is brilliant. Beautiful Town. Same breakfast menu everyday, fresh and very tasty but same. Not always heaters were warm. We always had to ask to turn them on. Ski room wasn’t equipped with enough heaters. Boots couldn’t get dry during one night. Breakfast is not diverse enough. For additional food as omlet, pancakes you have to pay in afdition. We wish to see vegetables, sausages, porridge, cottage cheese. Not even two star hotel.Very old furniture, at the entrance a stuffed animal...( Not the only one, there are other creppy creatures like that)!! !The bar area very unconfortable. And the best of the best, no heating all night long!!! We were freezing!!!Unbelievable!!! Just the hotel how it looked outside!!! We went for a dinner at the hotel's restaurant few times where the buffet proposed (E15) was very poor. Almost no new food was provided to the buffet table so not many choices left after one meal is over. All The staff! Especially the waiters at the restaurant!! Extremely rude and didn’t feel like working at all! (I caught one of them picking up *something* from the floor and put it back on a table - don’t want to specify “what” for reasons) And the crazy price I paid!! RIDICULOUS! This hotel doesn’t have the requirements to be a 4 stars at all!! The location, very close to the center and from the cable cars and the food is not bad.